Drive deep into the Berkshires on lightly traveled, two lane highways banked by rivers and pastureland and you will soon arrive at one of the loveliest communities in New England. Williamstown, Mass. in the northwest corner of the state, is a pastoral historic town where great art is housed in intimate settings, where academics mix with outdoorsmen, and where a weekend escape can involve everything from eavesdropping on world famous professors in a village coffee shop to walking the northernmost reaches of the Appalachian trail. 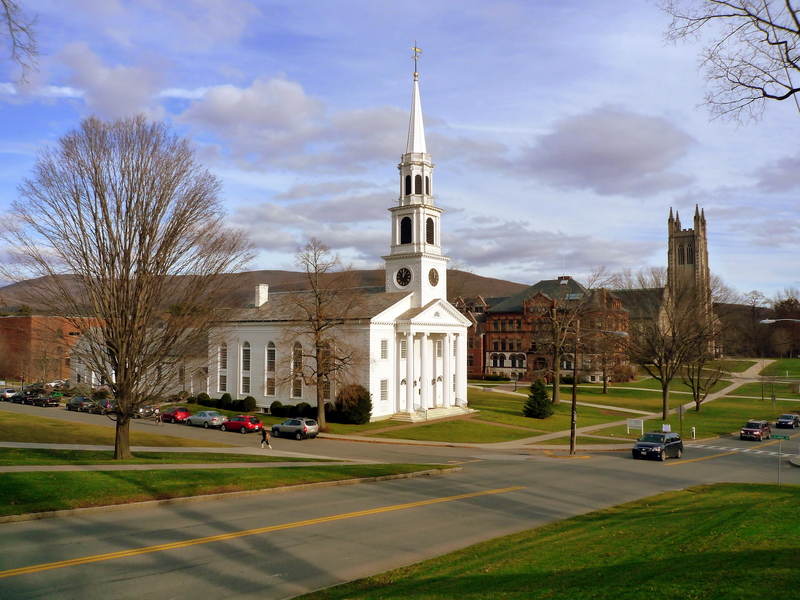 Williamstown offers glorious views of the Williams College's Thompson Memorial Chapel's gothic spires set against the backdrop of purple majestic mountains. See a provincial Georgian home built in 1790, three years before Williams College was founded. Take a walk down Spring Street to the Tunnel City Coffee Shop and hang with the intellectuals while you enjoy a cup of java. Stay at a Bed and Breakfast like the Stratton Inn or at a five star hotel such as the Orchards or Williams Inn. We have so much more to offer here in the Berkshires. Click our town photo above to get more area information. Click on the area info tab at the top of our homepage and find dining, lodging, weather, schools, and entertainment. Welcome Home to Williamstown.